We see microchipped pets find their way home in an hour or less, while pets without a microchip take a couple days to get connected back with their owners. It really makes a difference on how fast lost pets find their way home. It cannot be lost like a collar or tags. It is always with them for their entire life. 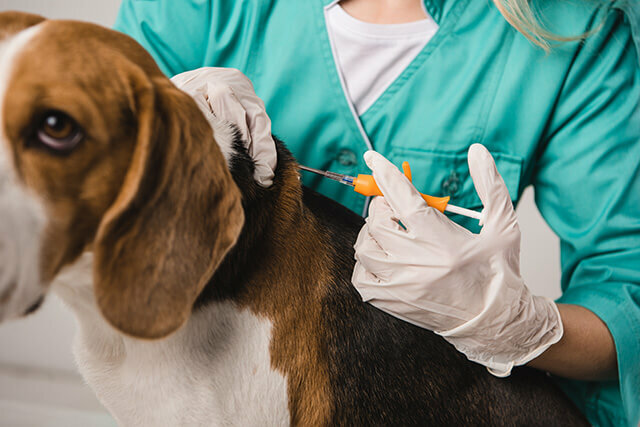 The process for getting your pet microchipped is quick and relatively painless. We’ll use a needle to insert a microchip about the size of a grain of rice just under their skin at their shoulders. For pets over 6 months, we’ll even use a local anesthetic to make the process even more pain free. Most of our patients are microchipped at the time they are spayed or neutered, so they don’t feel anything. 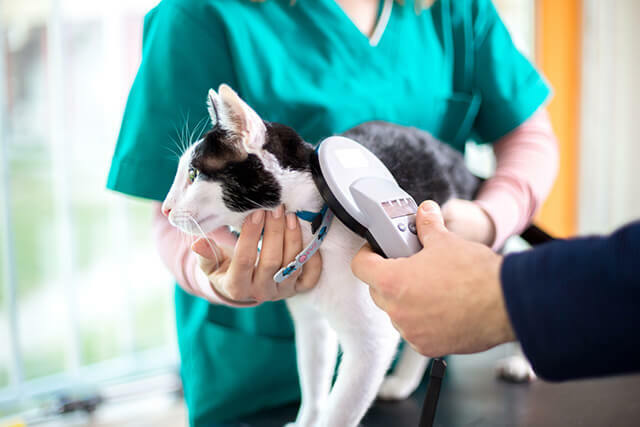 Nearly all veterinarians, emergency clinics, specialists and shelters have microchip scanners and will scan an animal that is brought to their facility. They will usually call HomeAgain or Pet Microchip Lookup to report the lost animal and you will receive a call from HomeAgain or the hospital alerting you to where your animal is has been found. If your pet has a microchip, it’s a good idea to call your microchip company to inform them of your missing pet. If your pet is registered with HomeAgain and you have paid the annual fee, they will proactively send a fax to all veterinary hospitals, animal shelters and volunteer “Pet Rescuers” within a 25 mile radius of where your microchipped pet was lost. If you have only paid the lifetime fee, don’t worry – you can still call at any time to pay the annual fee and get the help you need at the moment. While your pet is registered for life with the initial registration fee, HomeAgain provides a few extra perks with an annual membership. A call to Animal Poison Control is free. You can even call HomeAgain first to renew and then call Poison Control if you are not up to date. If your pet is found further than 500 miles from home, they will pay to transport your pet home. Make sure you remember to update your information if you ever move or change your phone number. We have come across several pets who are microchipped, but your information isn’t updated and it takes longer to track you down and reunite you with your pet. ​To notify HomeAgain of your missing pet, you can call them at 888-466-3242 or log-in to your account at their website. Clarksburg Animal Hospital is proud to provide microchipping for pets and owners in Clarksburg, Germantown, Boyds, Damascus, Urbana, Ijamsville, Monrovia and the surrounding areas.